The Peacock Network has seen ratings improve thanks to "Heroes" and football. Will this be enough to lift NBC out of fourth place with younger viewers? NEW YORK (CNNMoney.com) -- Remember when NBC was the king of prime-time TV in the 80s and 90s? Comedies like "The Cosby Show", "Cheers", "Seinfeld" and "Friends" helped the network attract viewers (and advertisers) by the millions, year-in and year-out. Well, NBC has taken a tumble the past few years. But the network's rating slump may finally be behind it. And instead of big sit-com stars, NBC has some ordinary people with extraordinary talents, not to mention John Madden, to thank. NBC's "Heroes" has been one of the biggest new hits of the fall TV season. There's nothing ugly about the ratings. 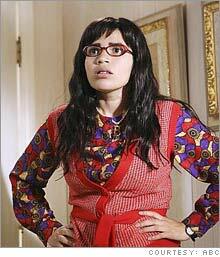 "Ugly Betty," based on a Spanish-language telenovela, has been a breakout new show for ABC. Is NBC "Must See" again? NBC is the only network to report an increase in younger viewers this season. The Peacock Network, which has finished in fourth-place with the key 18-49 year-old demographic that advertisers covet for the past two years, is currently just a hair behind second-place CBS in this race, according to data from Nielsen Media Research. NBC has had a big hit with its new show "Heroes" on Monday nights. The series, about a bunch of people with super powers, appears to be appealing to the same group of young people that have flocked to movies based on comic books during the past few years. Through mid-October, "Heroes" has pulled in about 13.5 million viewers a week. While that's only good enough to make the show the 27th most watched overall, the numbers are significantly better with 18-49 year-olds. "Heroes" ranks 11th with that demographic. NBC has already announced that it has picked up "Heroes" for the full season. The other new NBC show on Monday nights has not been as successful though. The heavily hyped "Studio 60 on the Sunset Strip," the "dramedy" by "West Wing" creator Aaron Sorkin about what goes on behind the scenes at a late-night comedy show, debuted to strong ratings but has since slipped in the rankings. 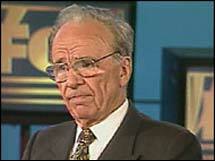 Although the show is loved by many critics, some think that the subject matter of "Studio 60" may be too narrowly focused to appeal to a wide audience. "What we're seeing with 'Studio 60', the audience is thinking that it's too insider-ish. That's a common complaint. It's probably affecting the viewership," said Michael Coristine, a sports and entertainment analyst for Brandimensions, a market research firm that looks at consumer opinion based on Internet chatter from blogs and message boards. 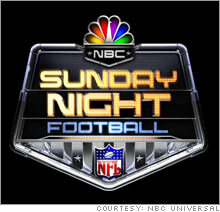 One media buyer said football has also helped NBC because it can use time during those telecasts to tout shows airing on the network later in the week. "Football has really done NBC well. You can't go wrong with using that as a promotional platform," said Shari Anne Brill, vice president and director of programming with Carat USA. To that end, even some older NBC shows such as "E.R." and "Law and Order: SVU" have seen a bump in ratings so far this season. The ratings turnaround is good news for NBC parent company General Electric (Charts). GE reported Friday that thanks to some of its new hits, the NBC Universal division, which also includes cable networks Bravo and USA and a movie studio, should report an increase in profits during the fourth quarter. Earnings for the unit fell 10 percent during the third quarter. "NBC Universal is making good progress in finishing the year on the upswing with positive momentum from the new prime-time line-up," said GE CEO Jeff Immelt in a statement Friday. 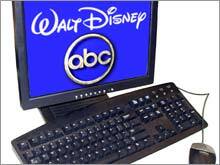 Looking at other networks, Walt Disney (Charts)-owned ABC, thanks to returning shows "Desperate Housewives," "Grey's Anatomy" and "Lost" as well as new hit "Ugly Betty" is in first place. ABC took a risk by moving "Grey's Anatomy" from Sundays to Thursday, where it now faces CBS's (Charts) big hit "CSI." Interestingly, neither network has stumbled that much. "Grey's Anatomy" is currently the most-watched show in prime-time while "CSI" is second. What's more, both networks have launched successful new shows on Thursday. "Ugly Betty" the sitcom based on the popular Spanish-language telenovela "Betty La Fea" is the 12th most-watched show on TV. It airs before "Grey's Anatomy." And "Shark" about an acerbic lawyer played by James Woods, is the 18th highest-rated show. It airs after "CSI." This is encouraging for both networks since Thursday night has long been considered the most attractive night for advertisers, who tend to spend more money in order to reach consumers before the weekend. Hollywood studios often promote new movies heavily on Thursdays. "ABC has found a great way to be competitive on Thursday night. But there are enough viewers to go around. CBS is holding its own and doing just fine on Thursday nights," Brill said. So while three of the big four networks each have a reason to gloat, the same cannot be said for Fox, owned by News Corp. (Charts) Its new comedies "Til Death" and "Happy Hour" have not performed well and new dramas such as "Vanished" and "Justice" have also failed to find a big audience. Fox, which typically struggles during the first part of the new season due to its coverage of the baseball playoffs, is currently in fourth. But nobody is ruling out Fox's chances to win the 18-49 crown for a third consecutive year though, since two of its biggest shows, "24" and the ratings juggernaut "American Idol" both return in January. For this reason, Jordan Breslow, director of broadcast research with media buying firm MediaCom, said he's not convinced that ABC will hold onto its lead with younger viewers. And NBC could even find itself slipping back into fourth place with 18-49 year-olds when the 2006-2007 season is over. "NBC will be up over last year. But will it be enough to pull them out of fourth? That is questionable," he said. But the CW has struggled. The network is in sixth place in the ratings battle for 18-49 year-olds as well as in the 18-34 year-old demographic. The CW trails not only the big four networks but also lags behind Spanish-language broadcaster Univision (Charts). "The numbers for the CW are small and going down. They have some work to do," Breslow said.